We used Plastimake to repair the base of this old lamp. 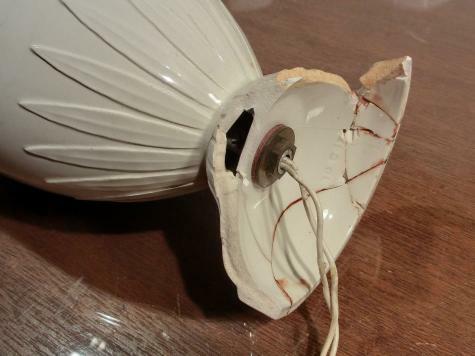 The lamp was dropped many years ago, causing the base to smash into pieces. 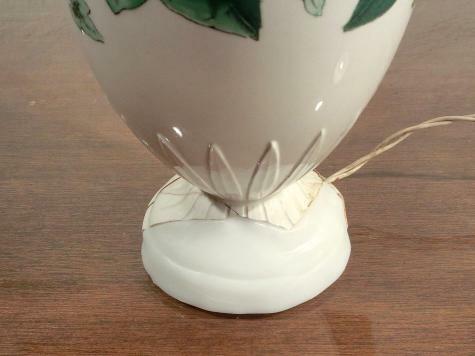 Although it had been partially glued back together, about half the pieces were lost forever. 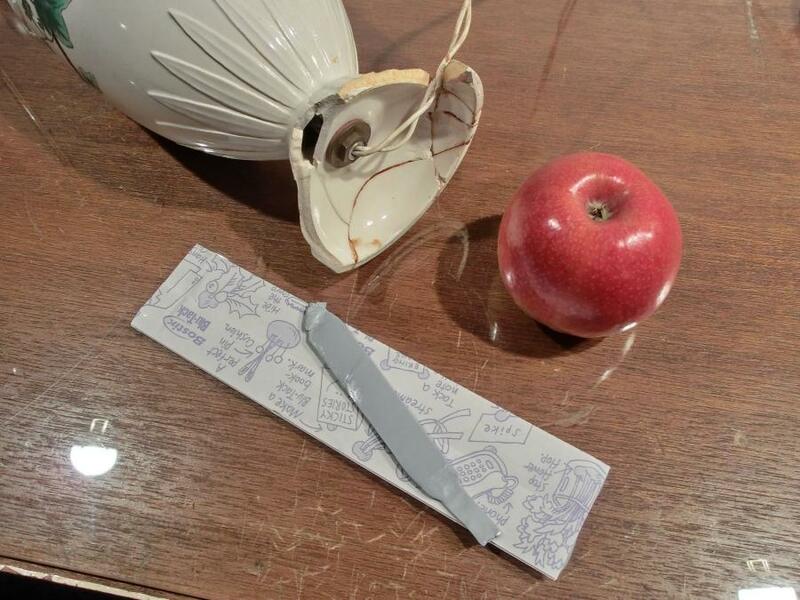 We started by using an apple and some BluTak to prop the lamp up the correct position. 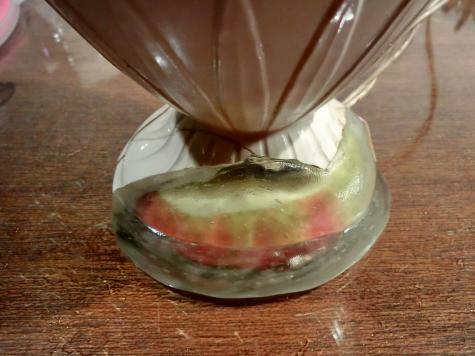 Then we formed warm Plastimake around the base. 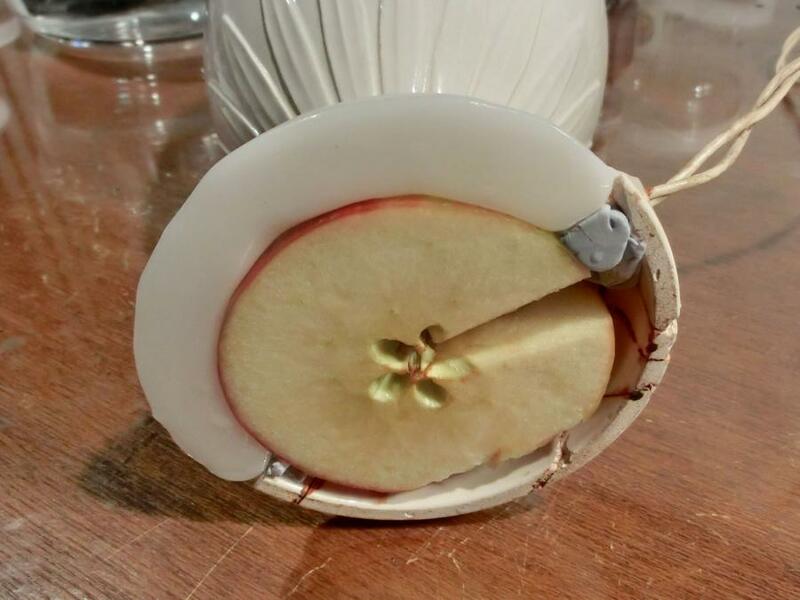 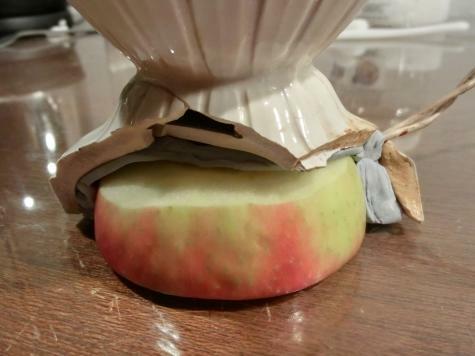 Once the Plastimake cooled we were able to remove the apple and BluTak from underneath the lamp.